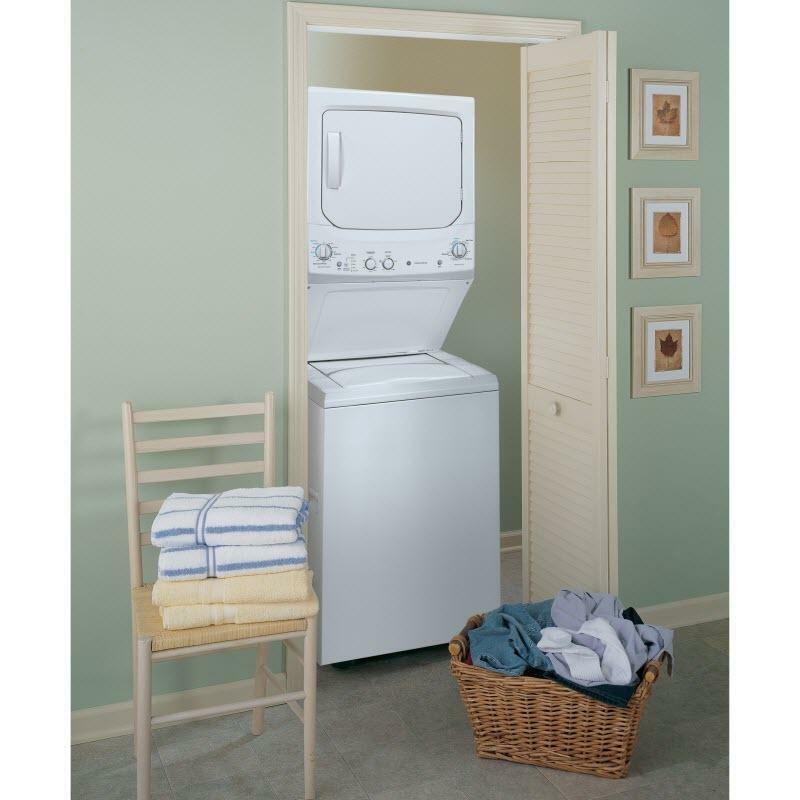 GE 27" unitized Spacemaker® gas washer and dryer laundry center. 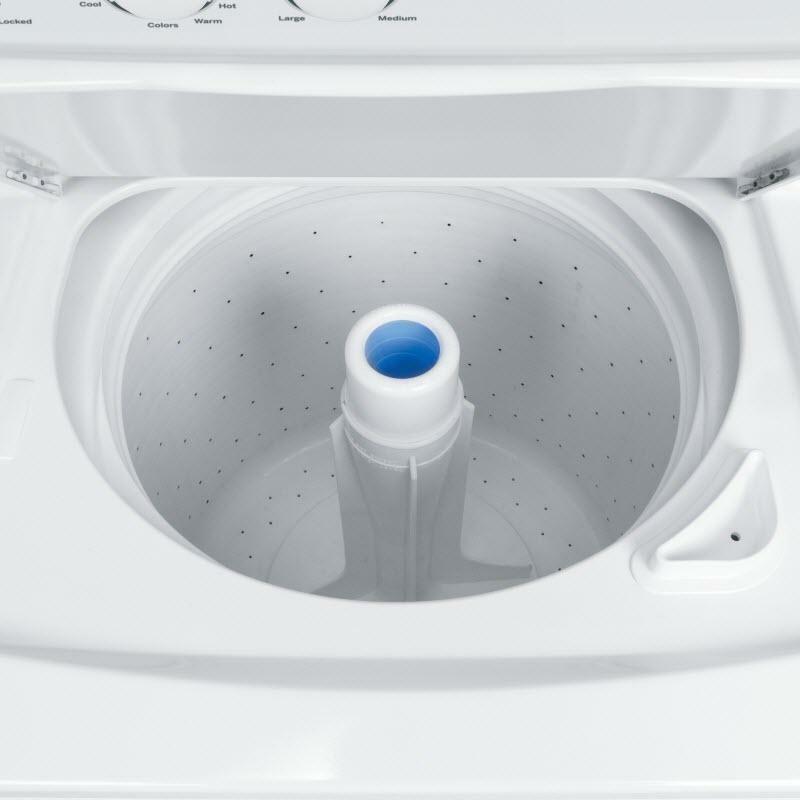 This laundry center features rotary-electromechanical controls for the dryer, auto-load sensing with 4 water levels and 11 wash cycles. 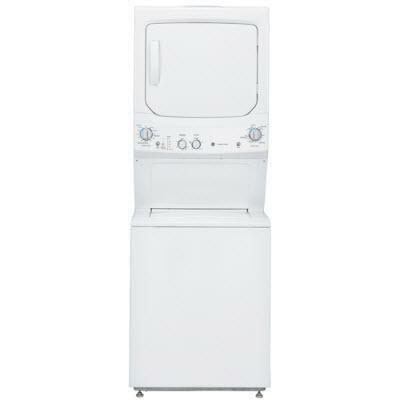 Capacity DOE 3.2 cu. ft. / 0.09 cu. 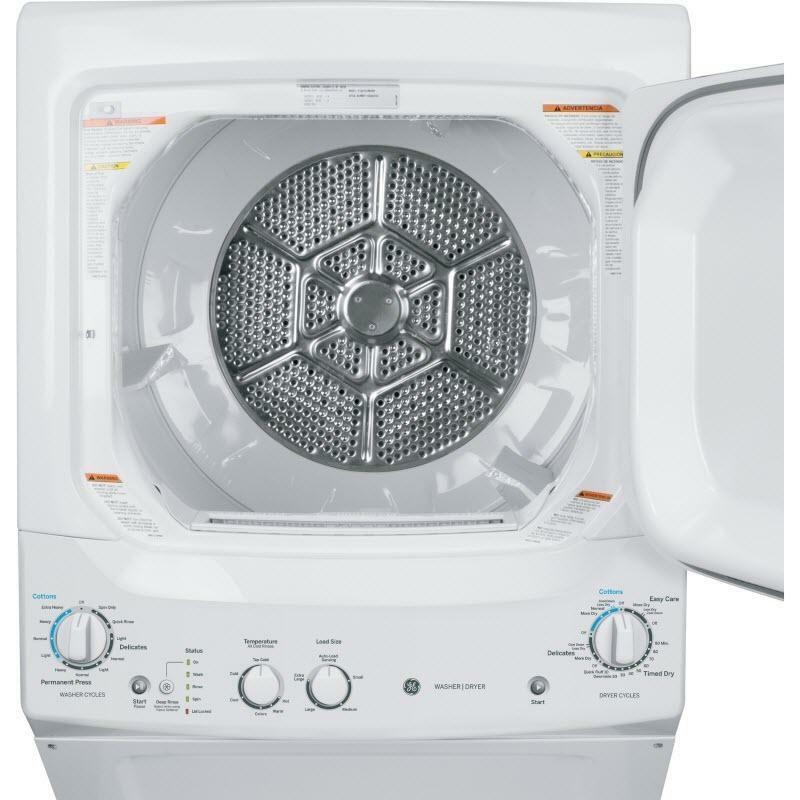 m.
Capacity 5.9 cu. ft. / 0.17 cu. m.